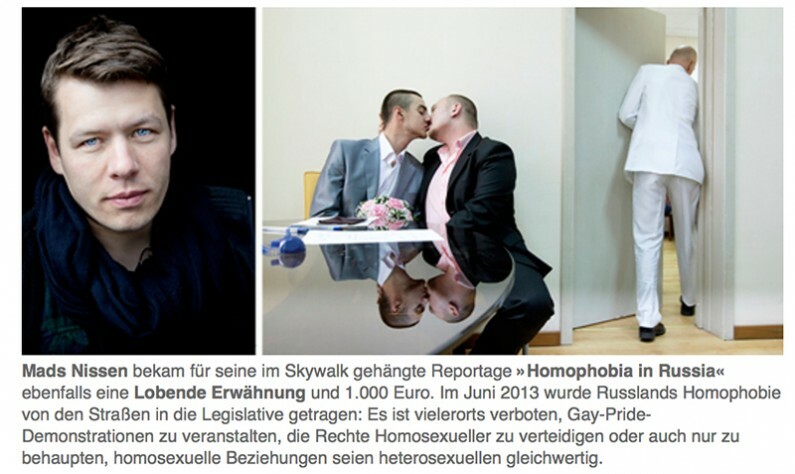 »Homophobia in Russia« receives a prize at the LUMIX Fotofestival, Hannover Here’s a link to the work. Posted on Monday, June 23rd, 2014 at 07:00. Filed under: News	RSS 2.0 feed.